Growing up in South Australia with all the horror of my brothers, their friends and mine threatened with the dreaded “lottery”… which could see them conscripted, at the age of 19, to go fight in Vietnam gave me a perspective which you can read about here. Young people, at that time, gave voice to their opposition of government decisions which severely impacted on their lives through music and song. 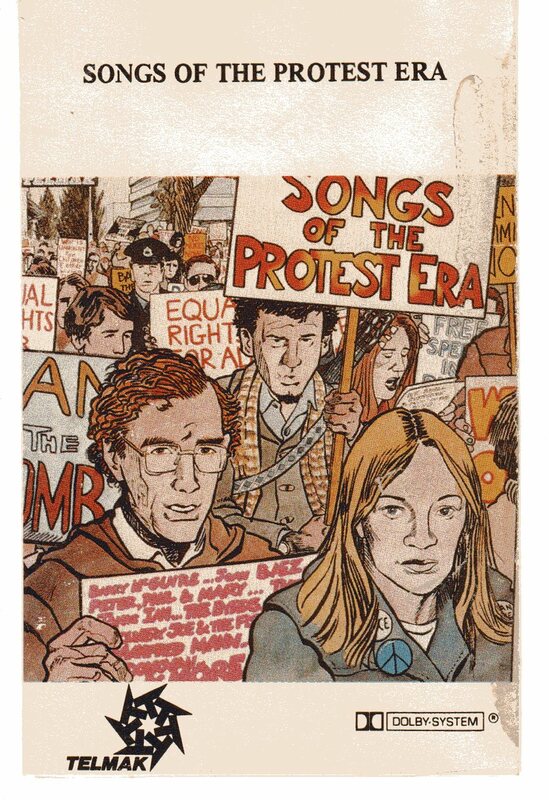 My children grew up to the sounds of “Songs of the Protest Era”and right now I can’t get one particular song out of my mind, given the way our Australian political situation is playing out right now. This entry was posted in Australian Politics, History, Military, MUSICAL MONDAY and tagged Australian History, Family History, Genealogy by Catherine. Bookmark the permalink. There are some fantastic records there Catherine. I’m sure I still have my copy of Barry McGuire. 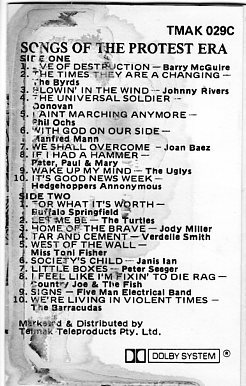 It’s strange how some songs can drag the memories back and some refuse to be dislodged once in there.One of my favourites from back the ad which I still catch myself singing ( OK, croaking then) is another Country Joe and the Fish song. http://youtu.be/WrRlmeOhV2U I hope this doesn’t get stuck in your head. I don’t know what the Australian Govt is up to now but I do know a lot of those protest songs; brought back memories. Absolutely. That was an horrific incident, and one does wonder how people can’t seem to change those old scenarios; to the extent of falling for the old ploys and nonsense and election promises of a very right wing Government. Happens here too. 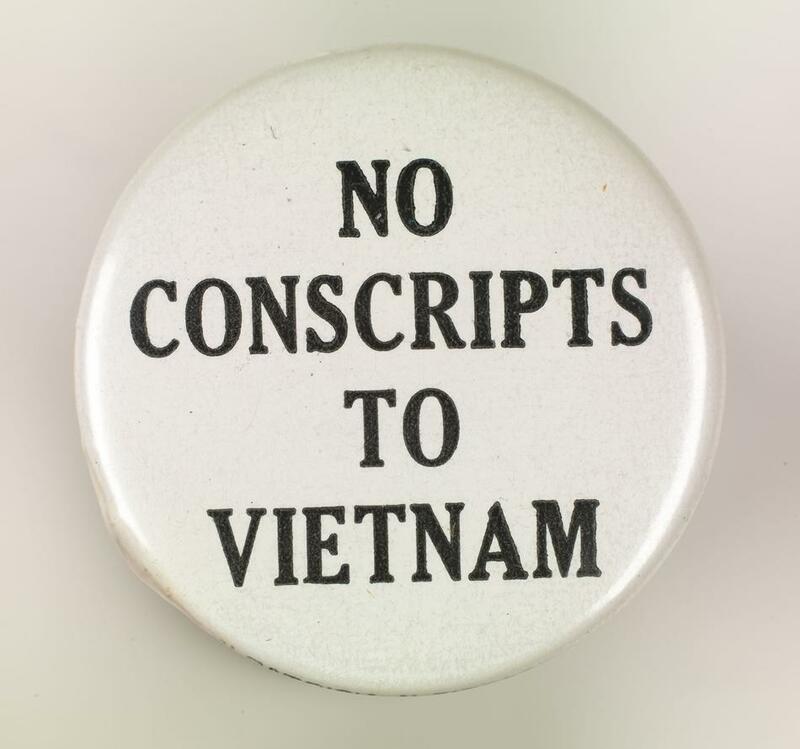 Until I read this post, I had never realized that Australia sent soldiers to Vietnam, and that there were protests there similar to the ones in the US. One of the things I really like about blogging is how it helps us see things from the perspective of others who are geographically widely separated (and how often we discover more similarities than differences). I agree 100% Sheryl how our blogging friendships help us see how very similar most of us are, despite the geographical difference, and especially to appreciate our differences from a personaql/ human perspective. What a great story! I love it. It’s amazing how a diary entry a hundred years ago in a rural area of the US, led to a fun conversation half way around the world a hundred years later. Vietnam took such a heavy toll on my generation. I lost a first cousin there. A very good friend lost his leg, another as a result of agent orange (they believe) had three deaf children. Now days we buy all sorts of things marked “made in Vietnam”. 58,000 Americans dead so I can go to JC Penny’s and buy a shirt from that country. Vietnam lost millions of life’s. War is the worst of many things that we humans do. I had no idea that the lottery draft system was also instituted outside of the United States. It was the era of protests. Today, you dont hear the music that wakes up the mind, perhaps because no longer are 19 year olds being drafted by the lottery system is forced to go to war. It’s now a volunteer military service. However we need the music to wake up our mind. In America the song that came to mind that I grew up on was Marvin Gaye song titled “Whats going on” you can hear that you youtube. Thank your for sharing and remembering a time that should never be forgotten.